Hi! Everyone, hope you are fine and having fun. If you have any quire, problems or want to ask anything do let me know by posting on my Facebook Pages wall, by Tweeting me @Jajodia_Saket or by emailing admin[AT]SJbn[DOT]Co. Now coming to the point I am writing this post is, as I announce last week that my blog have completed its 6 months and now have started accepting guest post also and today I am going to give a giveaway type of to all of you. In giveaway I will be giving an Invite to Quora. Quora was founded in April 2009 by Adam D’Angelo, who was previously CTO and VP of engineering at Facebook, and Charlie Cheever, who led Facebook Connect and Facebook Platform. Quora is privately held and funded by Benchmark Capital, and is based in Palo Alto, CA. It is a collection of questions and answers. You can add, created, edited, and organized questions and answers. You can also categorize questions by adding topics to them, summarize answers on a question page, and edit any question or summary. Duplicate questions and topics are unified so that the content on the site keeps getting better instead of getting fragmented. Users can follow questions, topics and people, which create a stream of relevant questions and answers for each user. The site is closely monitored and maintained by its users so the quality of questions and answers stays high. So if you want to have the invitation of Quora just make a comment below with the reason why you want this Invitation. And don’t forget to give your correct email ID at the place of Mail (your email ID will not be published) so I can send you invitation on that. If you want to thank to us do join us on Facebook, Twitter and Subscribe to this blog using RSS Feed or Newsletter. And share this post with everyone so they can also join Quora and enjoy with you. 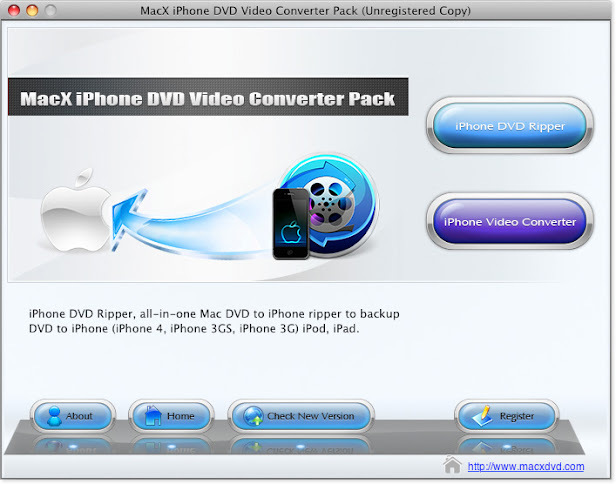 Today in this post I will tell you how you can get MacX iPhone DVD Video Converter Pro Pack got free. MacX iPhone DVD Video Converter is a product by Digiarty Software Inc., they Giveaway MacX iPhone DVD Video Converter for Happy Thanksgiving and available for both Mac and Windows user. The same software is worth of $79.90. 3. Now you will see a timer is running below that timer you can click on For Mac or For Windows select according to your requirement. Note: For Windows user License Code is inside the zip file that you have downloaded and For Mac user License Code is given just below the timer and above the download button. This will end November 30, 2010. Hope you will enjoy the product.